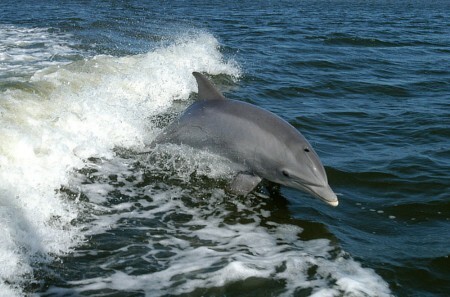 Dolphins are marine mammals that are closely related to whales. They are found worldwide, mostly in the shallower seas of the continental shelves, and are carnivores, mostly eating fish and squid. Dolphins are among the most intelligent animals and their often friendly appearance and seemingly playful attitude have made them popular in human culture.